For beginners who are just newly introduced to the world of kayak, you may be amazed by how others, the advanced or even the intermediate kayakers able to do a complete rollover when their kayaks capsized. I am sure you will panic when your kayak capsized. No worries, we are here to help you master the art of rolling the kayak properly. There are a lot of ways we can learn how to roll kayak but we only need to master one or maximum two ways to ensure our safety in the water. All we need to do is to keep practicing the techniques regularly, until we are confident on our skills. Here in the article, we will be learning only one kayak roll type which is very common and easy to master. 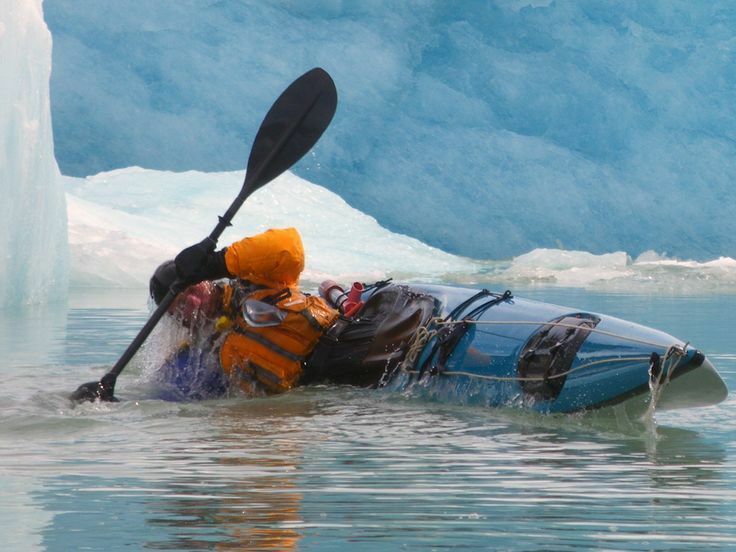 Roll kayak is also known as Eskimo roll. It is one of the safest and best ways to recover if you happen to capsize. This is so much effective for most people because by doing this they don't need to go into the cold water and then try getting on to the kayak after emptying out the water. The Eskimo roll kayak is very fast and works perfectly with the right technique. The whole Eskimo roll is based on the famous principle that we were taught in school called Braces and rolling basis. When we are practicing kayak for the first time, we should remember the position where we start from. While we are doing a roll kayak we need to get back to the start position pretty fast so that we don’t end up falling off from the kayak. We should always grip the paddle in a normal way and just rotate our upper body and then place our paddle on the left-hand side of the kayak. We always need to check that the right-hand blade is kept in power face up position because it is important for the elevation of the kayak. We should always lean towards the front deck and keep our head down to make the roll smoother. Sitting firmly in the kayak is also very important or else there could be a chance of us falling out of the kayak while doing the roll. Now that we are able to flip and be upside down all we need to do is stay calm and hold on. We need to push our paddle forward and get our hands on the water to make sure everything is under control. When it’s time to roll, we should sweep the paddle to make an arc because this helps us get a support so that our upper body will be out of the water. We need to have a strong upper body to do the strokes. It is very important to learn how to roll a kayak to ensure our safety in the water if our kayak capsized. If we panic while doing a roll, we may end up lose balance and falling from the kayak. We should focus on keeping the blade in the right angle position at all times. However, the main key is to stay calm and practise it regularly.